Social media can be overwhelming. Trying to keep everything updated with fresh content is probably the hardest part. With our Auto-Tweet feature, you can mark at least one of those social sites off your list. The Auto-Tweet feature is easy to set-up and modify. All you need to do is provide criteria such as neighborhoods, school districts, cities, etc., and we automatically “tweet” three times a day on your behalf with useful market information about those areas, with a link to property search results using your IDX! You can also configure the Auto-Tweets to tweet your new listings as soon as they hit the market! So why bother with Twitter? Twitter messages (“tweets”) are searchable and indexed by Google, and all of the Auto-Tweets will link back to your IDX page. Furthermore, you can build a community of “followers” who receive your tweets. Want to see the Auto-Tweet feature in action? 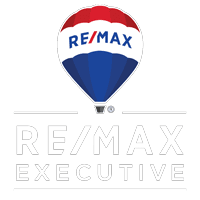 Check out RE/MAX Executives Twitter page – HERE.